No, we're not leaving yet. 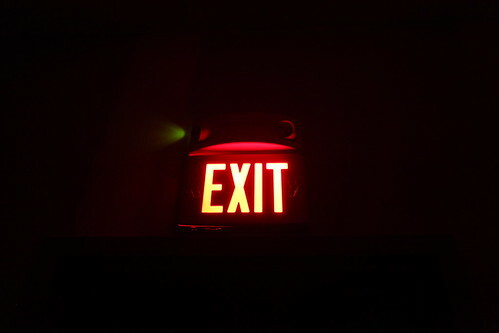 Just a classic AllAbandoned.com shot: the still-lit exit sign. Our favorite locations are on that threshold just between desolation & hopelessness, and outright abandonment. It makes me so mad to know that functional items like this will be destroyed during the demolition, and neither reused nor recycled.